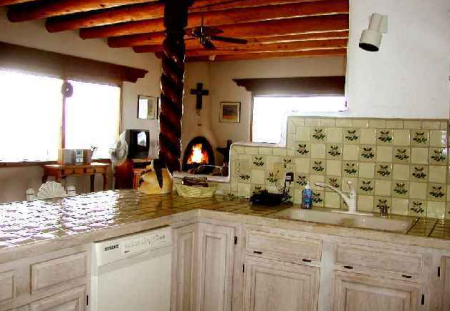 Lovely, light, bright and airy, open floor plan, 2 BR Holiday Travel Ski Adobe Home situated on 1 acre, with outstanding views of mountains from Questa to Truchas, located between the Taos Ski Valley and the Taos vvillage plaza. 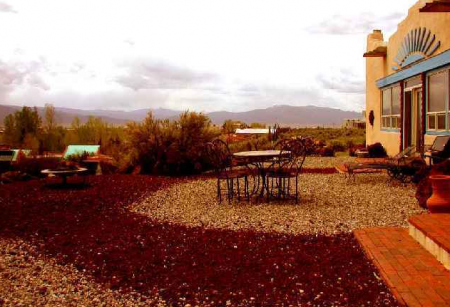 A completely private setting, high up on a desert ledge with easy access year round. 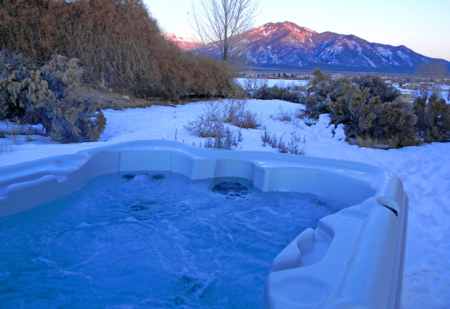 Outdoor hot tub for star gazing at night. 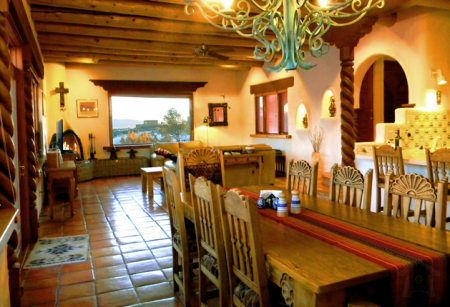 Two kiva fireplaces, a formal dining room and a fully equipped kitchen. 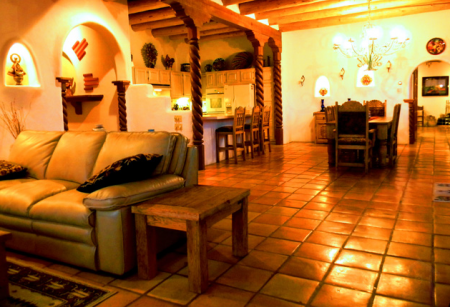 An outdoor "Fire Pit" provides evening fire light and warmth as guests gaze across the evening valley lights. 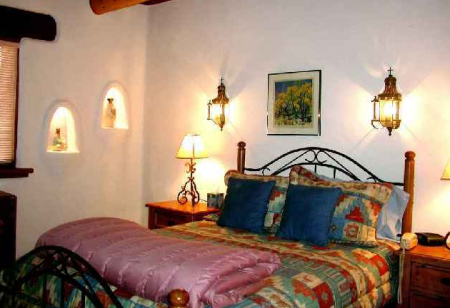 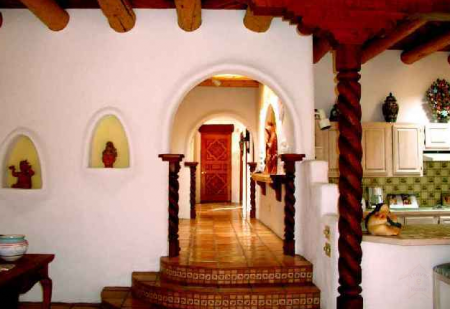 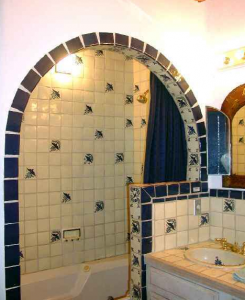 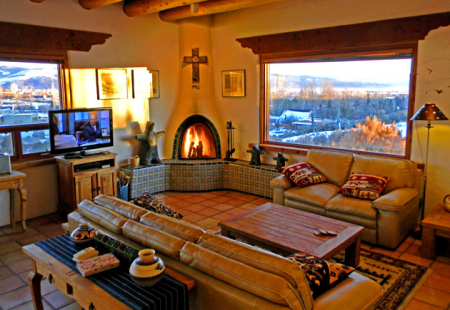 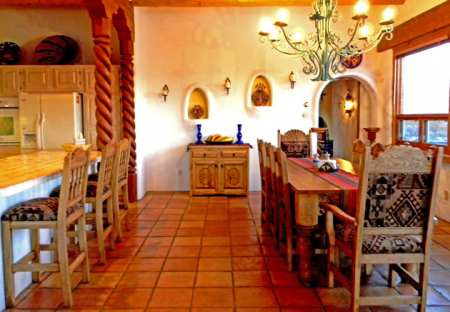 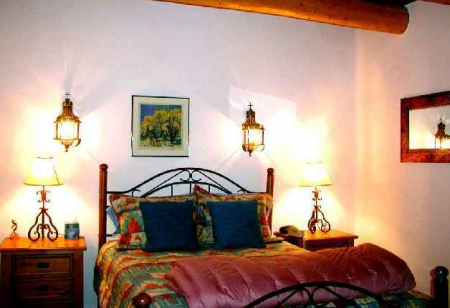 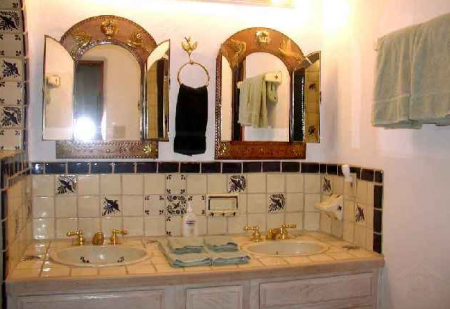 Casa Vista Grande is one of Premiere's largest 2 bedroom 2 bathroom Taos Ski Vacation Rental Travel Homes.